The Rebel Sweetheart. : Globe cements leadership with highest industry growth in broadband business. Globe cements leadership with highest industry growth in broadband business. Globe Telecom, through its broadband brand Tattoo, maintained its leadership in the Philippine broadband industry with its flagship on-the-go and home broadband services after posting double-digit increases in both revenues and subscriber base as of end-September 2013. Broadband revenues leapt 22% from P6.3 billion to P7.8 billion year-on-year, the highest in the industry, on the back of the market’s positive response to Tattoo’s wide portfolio of wireless and wired broadband products that were made more affordable and relevant to subscribers. Tattoo closed the first nine months of the year with 1.9 million broadband subscribers, up by 15% from last year’s 1.6 million, with both wired and wireless subscriber bases registering growths of 17% and 14% respectively. Robust growth in the broadband business resulted from aggressive acquisitions campaigns, attractive pricing offers and product bundles. This positive response and sustained growth was a product of the company’s continued push to expand its product portfolio and its awareness of the customers’ evolving and increasing demands for nomadic and home broadband services such as the more affordable Tattoo Prepaid 4G SuperStick at P1995 alongside Tattoo Postpaid’s more personalized and consumable plans with increased surfing speeds now up to 42 Mbps delivered by the telco’s growing and expanding Long Term Evolution (LTE) network. The Tattoo Prepaid LTE devices were also launched with the mobile Wi-Fi variant at the forefront as it doubles as a powerbank with 3000mAh capacity. LTE Postpaid plans are also offered starting at Plan 1299 which comes with a FREE LTE dongle or, for a one-time fee of P 2000, upgrade to a mobile Wi-Fi device. True to its customer-focused strategy, Tattoo introduced its first rewards program called Tattoo+ Rewards, where qualified subscribers earn rewards points and freebies by subscribing, loading and using Tattoo services. Tattoo also launched the revolutionary Tablet Revolution bannering the most affordable tablet bundles where subscribers get three free devices -- Skyworth S73 tablet or a Cloudpad 705W, a Blackberry Curve 9220 and the country’s fastest broadband Wi-Fi stick which can power up to 10 devices, all starting only at Plan 1298. Other Tattoo tablet bundles are also made available with varying numbers of free browsing hours starting at Plan 598. Tattoo Home Broadband also offered its enhanced product bundles with high-speed internet, free landline, and free unlimited landline to mobile (Globe and TM) call services. Broadband bundles were unveiled such as Plan 1099 at 1 Mbps, Plan 1299 at 2 Mbps, Plan 1599 at 3 Mbps, Plan 2299 at 5 Mbps, Plan 3999 at 10 Mbps and Plan 4999 at 15 Mbps. Meanwhile, internet-only plans that connect at 3 and 5 Mbps were made available at Plan 999 and 1999 respectively, both with unlimited internet access. To date, over 80% of the network is already on 4G HSPA+ providing faster mobile browsing experience for customers, complementing the pilot LTE deployments in key business districts. Nearly 900 Long Term Evolution (LTE) sites in key cities and holiday destinations are now operational. At the same time, Globe continues to enhance its Service Quality with the continuing optimization and capacity upgrade of its modern network. 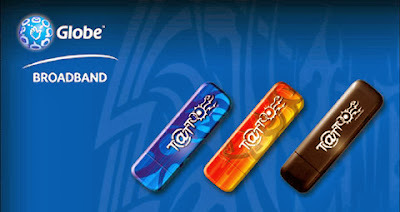 To know more about Tattoo’s latest products and services, visit www.tattoo.globe.com.ph.